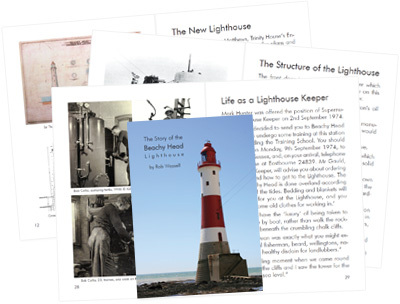 Over the years I have got to know the Beachy Head Lighthouse very well indeed and have had the opportunity to speak to former lighthouse keepers and collate rarely seen photos and fascinating facts about the ‘new’ lighthouse that stands at the base of Beachy Head. 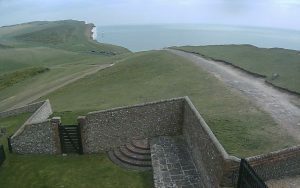 I have brought all of this information together to write The Story of the Belle Tout Lighthouse which you can order on-line through this website. I helped do my bit to help Save the Stripes – 50% of the profit from The Story of the Beachy Head Lighthouse was donated to the campaign. You don’t need specifically need a PayPal account to buy online, after clicking the link just select to pay by credit or debit card. Its easy and its secure. The book is also available from local visitor centres in and around Beachy Head.